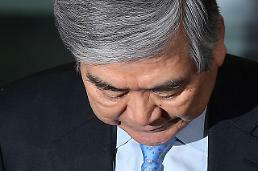 SEOUL -- The children of Hanjin's late founder Cho Choong-hoon started paying back taxes amid widespread public anger at alleged tax evasion and other illegal activities that led to multiple investigations by police and tax authorities. 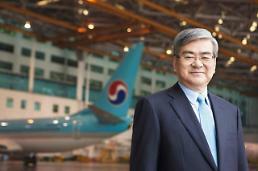 After the founder died in 2002, his eldest son, Cho Yang-ho, inherited Korean Air, the country's flag carrier, to become group chairman. The founder was once accused of evading taxes when he illegally transferred wealth to one daughter and four sons before his death. 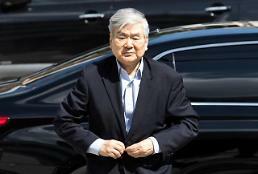 The group said in a statement on Wednesday that the founder's children belatedly found taxes estimated at 85.2 billion won ($79 million) were not paid when they inherited assets abroad. They transmitted a total of 19.2 billion won to tax authorities on Tuesday and plan to pay the remainder in the next five years. Hanjin has seen its image plunging due to a scandal involving the chairman's youngest daughter, Cho Hyun-min, who was accused of throwing a glass cup and sprayed plum juice during a business meeting with advertising agency officials on March 16. She told investigators that she lost her temper because the advertising official did not properly answer her questions. The Cho family faces charges of creating a slush fund, evading taxes, bringing in luxury foreign goods illegally, abusing and assaulting company employees and others.